"The Super Soldiers Gather!, Part 2"
"A Mysterious Beauty Appears! The Enigma of the Tien Shin-Style Dojo?" Kale (ケール, Kēru) is a Saiyan from Universe 6 and a member of Team Universe 6. Kale is Caulifla's best friend, sister-figure, and protégé. She is the latest Legendary Saiyan of Universe 6, a demon warrior who appears once every 1000 years. Kale is a Saiyan girl with a slender frame and average height, slightly taller than Caulifla. She is tan-skinned with downcast eyes and grey irises. She has shaggy shoulder-length black hair normally worn in a high ponytail secured by a white hair-tie, while a bang hanging over the left side of her face. Her outfit consists of a red shirt exposing her midriff matching her lower outfit—a red skirt with a brown belt attached along with a silver circular buckle and a pair of black compression shorts underneath. She wears a pair of golden boots with red tips, along with golden bracelets that cover her wrists and most of her forearms, and a pair of golden hoop earrings. In the anime, Kale wears red lipstick while she does not in the manga. In the manga, she can be seen sporting a long robe with a hood when acting as a henchmen of Caulifla. The belt secured around her waist is similar to the one she wears in her usual outfit. She changes into her usual outfit when heading to Champa's planet. Unlike most Saiyans who are violent, assertive, or at least strong-willed, Kale is a very meek and timid individual. Showing great insecurity and lack of self-confidence, she openly believes herself to be nothing special. She is also shown rather shy at meeting new people, even people as friendly as Goku. This lack of self-confidence, to the point that it comes off as socially awkward, has caused Kale to be constantly ridiculed by her fellow Saiyans. Caulifla, however, has always seen such potential in her, confidently believing Kale is stronger than she gives herself credit and always looked out for her best interest. Because of this, Kale has developed a very strong bond with Caulifla, her respect and adoration for Caulifla ultimately viewing the fellow Saiyan as an older sister and wanting nothing more than to prove herself worthy of Caulifla's praise. She also harbors insecurities over being a burden to Caulifla and becomes discouraged when she is unable to support her. Her greatest desire is to fight alongside Caulifla as equals. Her feelings for Caulifla's approval have also become a strong trigger for her in battle. When seeing Caulifla in trouble, feeling replaced by someone else, or praised by Caulifla, they have each unlocked more of Kale's potential. Originally when accessing her Super Saiyan powers, Kale's personality becomes a polar opposite, similar to her film counterpart Broly. Shifting through emotions while in her berserker state, she would become excessively violent and cocky, even sadistic as shown from her smirking promise to kill her foe. As she would continue battling, her rage would only continue to grow, becoming more savage and merciless in her assaults. Only words from Caulifla would calm her down and revert to normal. At the same time, her devotion to Caulifla shows a certain emotional unbalance, as once it seems that Caulifla has taken more interest in someone else, Kale's rage would manifest her berserker state and attack with intent to kill the person who caused her this grief. At the same time, once angered enough, she would even completely forget her loyalty to Caulifla, willingly attacking her. This same devotion to Caulifla also gradually allowed her to master her newfound powers while retaining her true personality. Wanting so much to help her best friend, Kale overcame much of her insecurities and learned to focus her power at will, even access her berserker state without going on a rampage, and soon after focus that power into a complete state, earning such praise from Caulifla. All this made Kale begin to gain self-confidence in herself and soon after proudly fought alongside Caulifla, showing perfect tag-teaming tactics, which made Kale all the happier. By the Universal Conflict Saga, Kale has shown noticeably more self-confidence in herself, not letting he pressuring assault of her foes deter her, even firmly voice her defiance. In the manga, Kale is a bit less timid than in the anime, though she remains meek and subservient, she is shown to be assertive enough to take action such as either snatching a gun and crush it without them knowing or taking back the pendant from Super Saiyan Cabba without him knowing. While her attitude towards Caulifla is also rather similar to the anime, still caring about her and her opinion of Kale, Caulifla's personal view feelings towards Kale is apparently just as another member of her gang and also shows less confidence in her current abilities. At the same time, while being very reliant on Caulifla in the anime, Kale in the manga shows her unquestionable loyalty as a strong devotion to helping Caulifla. Her single goal is to make sure that Caulifla is victorious in whatever she desires, while at the same time not wanting to outshine Caulifla despite knowing her power exceeds the leader, feeling so indebted to her for giving her a home. In addition, her reason for becoming a Super Saiyan was to avenge Caulifla after Frieza managed to beat her, and eventually powered up as Frieza and Goku double teamed her, with it being implied by Vados that such would prove detrimental to her mental stability. 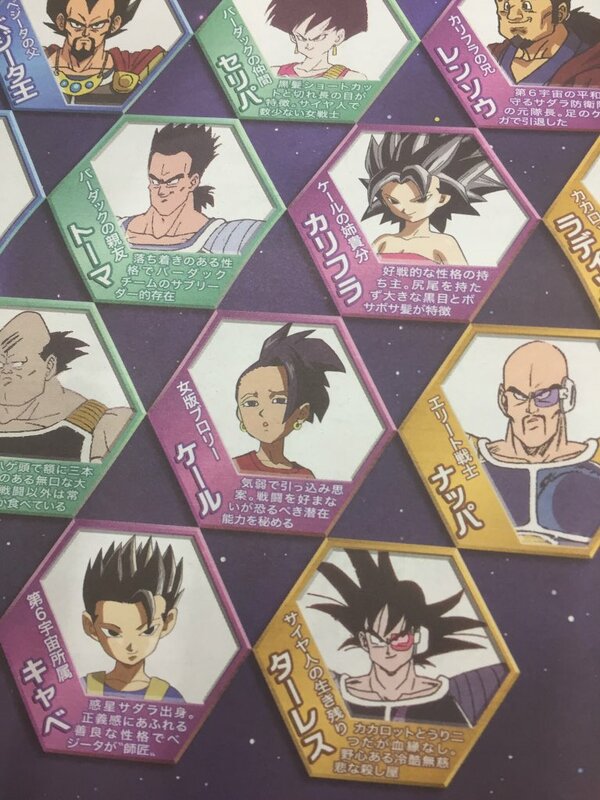 Main article: Universe Survival Saga When Universe 7 is selecting their team, Kale is one of the foes from another Universe pictured by Old Kai. She is a member of Caulifla's gang as well as her protégé. She is often looked down upon by other Saiyans of Universe 6 for her timid personality. In the manga, Kale is with Caulifla when she and her henchmen steal from the Sadala Army members who are coming through her turf, when one of the soldiers tries to shoot Caulifla in the back, Kale steals and breaks his gun so quickly that nobody saw her do so. Kale watches Caulifla's battle with Cabba and his Super Saiyan form, being annoyed when Cabba manages to defeat Caulifla. Kale steals the pendant that Cabba took from Caulifla with such speed that nobody notices her do so and presents it to Caulifla, who tells her to give it to Cabba. Seeing Kale's true power that she hides, Cabba decides to also invite Kale to join the tournament team. In the anime, after Cabba teaches Caulifla how to attain the Super Saiyan form, he and Caulifla work together to help Kale obtain it. It initially doesn't work, but after seeing Cabba and Caulifla "flirting", Kale is able to unleash her anger and utilize an "Berserker" state of the Super Saiyan transformation. Upon entering her berserk state, she immediately calls out Cabba and viciously attacks him in an attempt to kill him. Kale almost succeeds, however, Caulifla manages to awaken her Super Saiyan 2 state and saves Cabba's life by defecting Kale's ki blast. Caulifla, after realizing why Kale was so upset, told her that she would never fall for someone like Cabba. This calms Kale down and she reverts to her normal state. As Kale falls to the ground, Caulifla catches her. In the manga Kale heads to Champa's place with Cabba and Caulifla, Caulifla questions why Cabba wanted to bring Kale along - as she has great potential but is currently very weak, and Cabba (having noticed Kale's true power that she was hiding from Caulifla) states that it is because they need as many candidates for the team as possible. In the anime, after arriving at Champa's planet, Champa supplies Caulifla and Kale with Potara Earrings, in order to have them as his secret trump card in the tournament. They do not want the earrings and try to give them to Cabba, but Champa insists they keep them and use them when the time is right. Universe 6 arrives at the Null Realm for the tournament. Cabba introduces Caulifla and Kale to Goku and Vegeta but Kale shyly hides behind Caulifla whenever Goku asks if she is a Saiyan. Kale tries to keep Caulifla from insulting Goku and Vegeta, who gets offended by her insults. As the Tournament of Power began, Kale, alongside Caulifla and Nigrissi, watches as Goku and Vegeta's Final Kamehameha overpowers the Trio of Danger's Triangle Danger Beam and Zeno and Future Zeno erase Universe 9. She is ganged up on by Napapa and Methiop and is saved by Caulifla, who tells her to rest. Caulifla tries to boost Kale's confidence by telling her to fight Goku, but Kale is unable to transform. As Kale watches Caulifla fight Goku, she tries to interfere but is told not to, and Caulifla is too busy having fun to accept her help. Kale shows animosity towards Goku for "taking" her friend away from her, causing her to transform. She then personally fights Goku, easily able to shrug off his attacks and knock the older Saiyan back. Even when Goku becomes a Super Saiyan Blue, Kale still has the upper hand, even walking through his Kamehameha unfazed. Piccolo stops Gohan from helping his father, commenting that Kale is unable to control her power, and Kale loses her reasoning in a blinding rage, causing chaos on the entire battlefield. She grabs Goku in the face, but, retaining some composure, she instead throws him aside rather than try to kill him. Later Kale, in a fury, unleashes a Blaster Meteor everywhere, eliminating three from the tournament and wrecking the arena. Vewon, a Pride Trooper member, tries to restrain Kale, but she easily fends off the attack and knocks him out of the tournament. As Kale emits a loud roar that shakes the entire battlefield, the Pride Troopers prepare to act, with Jiren personally assaulting and easily defeating her in a single shot, sending her flying back. She was caught by Caulifla and they were attacked by Casserale, Cocotte, Zoire, Kettle, and Tupper. After Tupper gets eliminated by Android 18, Cocotte traps the two female Saiyans in a barrier. When she sees Caulifla on the brink of elimination, Kale transforms into a unique Super Saiyan form and manages to control the transformation. Kale and Caulifla have a beam struggle with the Pride Troopers. Initially, the Pride Troopers gain the advantage, but when Kale turns Berserker Super Saiyan, she and Caulifla gain complete control over the beam struggle, eliminating Casserale, Kettle, and Zoiray. After breaking out of the barrier set by Cocotte, she collapses. Kale in control of her power. As Kale regains consciousness in the ruins of the arena, Kale spots Hit against Pride Trooper Dispo. Worried after Dyspo states he could beat Hit's Time-Skip, Caulifla - who was watching her rest and resting herself - believes that Hit will beat Dyspo. As Hit strategically maneuvers Dyspo out of the ring, Kale watches Kunshi save Dyspo and beat Hit together, Caulifla decides to get out there to help Hit. As she begins to step out, however, Goku in his Super Saiyan God form timely arrives to block Dyspo's punch and they take care of them together, leaving Caulifla and Kale to rest. Later, she and Caulifla watch as Jiren is fighting Goku and witness the latter using Ultra Instinct. She then watched Hit fight Jiren alongside Cabba and Caulifla and were about to join him, but Cabba told them to let him keep fighting him, as he stated he had a plan. Then, they were told by Hit to fight and defeat the other universe warriors and were shocked when they saw Hit lose and eventually get knocked out by Jiren. Afterwards, Kale and Caulifla talked about the fight between Goku and Jiren, which made Caulifla excited and aspired her to get stronger. The two female Saiyans were then assaulted by Monna of Universe 4. Kale was then told by Caulifla not to interfere as she prepared to fight Monna, but then Cabba showed up and told them to retreat and recover their stamina while he fought Monna. Kale then watches Caulifla's fight with Goku and realizes she was having fun in this fight. Goku then pointed out Kale, and Caulifla invited her to join in the fight to achieve Super Saiyan 3, which she happily does. Kale is excited to fight alongside her sister figure, turning into Super Saiyan (perfect energy control) and attacking Goku together with Caulifla. With their combination attacks, the two landed clean hits on Goku. While he managed to hold himself against the attacks, he was also pushed back by the attacks and the two of them fired energy blasts at him, but Goku blocked the attacks with his aura, becoming Super Saiyan 3, shocking Caulifla and Kale. Goku thanked Caulifla and Kale, saying he can feel power boiling inside of him, and Caulifla and Kale were amazed at the form's immense power. However, Goku immediately reverted to Super Saiyan 2, saying he hasn't recovered the stamina to sustain Super Saiyan 3. Kale was then determined to get stronger herself, powering up to become Berserker Super Saiyan, worrying everyone watching. An excited Goku takes a fighting stance as Kale stares him down, with her energy being enough to make Jiren flinch during his meditation, as well as distract Vegeta and Top from their battle. Caulifla was then amazed at Kale's power, as she went up to her and told her she finally made that energy her own, extending her hand. Kale grabbed it, but forcefully gripped it, enough to partially destroy the ring under them. Caulifla asked Kale if she can recognize her, acknowledging Kale as not only her protégé, but her true friend, and saying that together they should pose as the greatest threat to all the universes. Hearing this, Kale suddenly gained full control of her power, attaining her "True Legendary Super Saiyan" form, which surprises Goku. The two sides started their battle, and Goku was overwhelmed by the two's combination attacks. When Caulifla tries to attack Goku, he uses the Solar Flare to blindside her and cause her to crash. With her brute power, Kale pushed Goku back, angry that Caulifla couldn't land her attack on Goku. When Catopesra began to change his mode against Frieza, she and Goku knocked him aside, the latter still struggling against Kale's power. Kale tried to knock Goku off, but she was knocked back by a ki blast shot from Goku's foot. Goku resumes his match with Caulifla and Kale, excited to fight them with everything he has. Caulifla created a smokescreen, causing Goku to focus and sense the attacking Kale's ki, however it was a diversion as Kale grabbed Goku and kept him in place while Caulifla pummeled him. Goku flipped, causing Kale to crash on the ground and let go of him, and then attempts to use Instant Transmission, but Caulifla used her senses to attack Goku as he reappeared. Goku acknowledged Kale and Caulifla as the perfect tag team, then transforms into Super Saiyan God. Goku attacked with several Finger Beams, which the Saiyan duo dodges, and despite the two's combination attacks, Goku managed to hold his own. Caulifla and Kale tried blasting Goku from both sides, but the more experienced Saiyan pushed back their attacks with blasts of his own. While Kale was struggling against her blast, Caulifla tried to run from hers, noticing it's tracking her. Kale deflected her blast, but watches as Caulifla took a direct hit. Goku complimented the two on their performance, but said they still need more training, opting to fight them again after the tournament. Caulifla then realizes she's no match on her own, and told Kale to take out "that thing" they received before the tournament. While Goku fired a Kamehameha, he shattered the ring around them, but the two are enveloped by a strange glow and fused together into Kefla to fight Goku on even terms. However, Caulifla and Kale were later separated and eliminated from the tournament via Ultra Instinct -Sign- Goku's Imperfect Instinct Kamehameha with Kale apologizing to Champa and Fuwa for losing. After Saonel and Pirina are defeated, Kale is erased alongside all of Universe 6. Later, when Android 17 wishes for the erased universes to be restored, Kale, along with the rest of Universe 6, is revived. Overjoyed to see Caulifla revived as well, she bursts into a fit of tears. Caulifla puts an arm around her shoulder and drags her off to greet an also newly-revived Cabba. On Planet Sadala, Kale, Caulifla, Cabba and Hit fight back against Oren and Kamin of the Core Area Warriors. Kale fights alongside Cauilfa in their Super Saiyan forms against Oren but their attacks prove futile. When Oren and Kamin switch places, Kale and Caulifla are still outmatched. Kamin kicks Kale hard to the ground then goes after her comrade but the grounded Kale attacks Kamin from below which gives Caulifla an opening to attack, though the damage is quickly regenerated. After Kamin defeats Caulifla she goes to attack Kale with an energy blast though it is deflected by the sudden arrival of Vegeta and Future Trunks who continue the battle in their stead. Later, Kamin possesses Kale's body via Tuffleization to use her as a means of fighting back against the heroes. The Tuffle later leaves Kale's body to escape the trap set by Hit and Trunks and avoid Vegeta's Final Flash, leaving Kale to be hit by the attack instead. In the anime, while Caulifla has great faith in her potential, Kale has very limited in power while in her base form. In the Tournament of Power, her blasts were easily repelled and her strikes caused little to no damage, as shown by Goku and Methiop respectively. In the case of the latter, she was also easily placed in a restraining hold by Napapa while Methiop beat her to a pulp. Once transforming, she shows a gargantuan increase in power. In the anime, her transformations were initially triggered by her built-up anger and/or repressed emotions and due to her continued lack of control, which would burn through huge amounts of energy quickly. As she continued to use her power in the Tournament of Power, in addition to growing stronger with more efficiency in its usage, she also came to gain proper control that power, being able to access it at will with no visible drain of stamina and energy. During the tournament, Kale's transformed power was able to upturn large portions of the arena, with her mere scream creating large craters in the ground, despite it being made of Kachi Katchin. A berserk Kale prepares to fight against Goku. In her first transformed battle in the anime, Legendary Super Saiyan Kale was able to completely overpower both Caulifla and Cabba, who were both fighting her in Super Saiyan form, able to pummel the latter around with little resistance. While Caulifla was able to deflect one of Kale's blasts once evolving into Super Saiyan 2, it was only hearing Caulifla's praises that calmed down Kale to cease her rampage. In the Tournament of Power, when her transformation was triggered by Goku, she completely manhandled the Super Saiyan 2 and even remained relatively unfazed by a point-blank Super Saiyan Blue Kamehameha, even walking clean through it. However, it's very likely that Goku was holding back, and she appeared to take some damage from it, as seen when was seen breathing heavily with smoke from the blast rising off her body. She then proceeded to batter Goku around more, although he emerged basically unharmed. As her rampage continued, her surging power began causing random attacks on all other fighters in the tournament, even eliminating Methiop. She also effortlessly broke free Vewon's Justice Whip and subsequently eliminated him. Ultimately, it took the intervention of Jiren, a being of Destroyer-like might, to stop the rampage and knock her out, who did so with a simple ki blast. In the anime, during Universe 11's assault on Caulifla, Kale's desire to save her best friend and rage towards her own weakness was focused into a stable Super Saiyan form, unleashing energy capable of breaking through a separate dimension - which even Android 17 could not do. During an energy clash alongside Caulifla against Casserale, Zoire, and Kettle, Kale was able to unleash her full power again, reentering her Legendary Super Saiyan form but still able to focus on her intended goal, aiding Caulifla to fire a combined energy beam to eliminate the three Pride Troopers. Before he went into meditation, Jiren seemingly acknowledged Kale as one of the warriors in the tournament that he was needed for. When facing Goku as he began to recover from battling Jiren, Super Saiyan Kale and Super Saiyan 2 Caulifla were able to pressure Goku despite his improved performance, even forcing him to momentarily use Super Saiyan 3. Desiring to make Caulifla proud, Kale accessed her full power of Legendary Super Saiyan. While momentarily making her turn savage again, Caulifla's ceaseless praise and confidence in her reached Kale's consciousness, letting her harness and intensify her power, enough to momentarily deter Jiren from his meditation. Once properly synchronizing her attacks with Caulifla, they were able to force Goku on a complete defense. At the same time, Kale's raw strength was shown able to initially overwhelm Goku, plowing him through solid rock, until he regained his composure to push her away. Against Super Saiyan God Goku, Kale was initially able to fight on par with her foe, until Goku fought more seriously, calmly overwhelming the two while Kale barely repelled his blast. In the manga, despite her insecurities, Kale is shown to actually be highly capable. While keeping it low-key, she is in fact the strongest Saiyan of Universe 6. Even before learning Super Saiyan, she was already well-ahead of other Universe 6 Saiyans using said power. She was fast enough to steal a Sadala soldier's blaster without him realizing it from a distance and just as easily crush it with her bare hand. Also, in her base form she is able to steal a pendant from Super Saiyan Cabba during his fight with Caulifla, without either of the two noticing. Caulfila claims that Kale has a lot of potential but has ways to go, though it appears that Kale is hiding her true power from Caulifla. In the Tournament of Power, Kale's abilities come into display, when she uses he true power she effortlessly overpowers and throws Dercori out of the stage. Her immense speed allowed her to catch Frieza off-guard a few times and strike him off balance without Super Saiyan Caulifla, Super Saiyan Cabba, or Golden Frieza realizing her presence. Once Frieza adjusted to Kale's tactics and caught her, he easily took her down, alongside Caulifla, albeit Frieza notes that Kale's strikes hurt him more than Super Saiyan Caulifla's did. When Kale takes on her Super Saiyan form, she catches the non-serious Frieza off-guard - as he believes he will be fighting a "mere" Super Saiyan - and effortlessly pummels the tyrant across the stage. Frieza is annoyed at this different type of Super Saiyan power, but smirks at his foe. When Goku intervenes as a Perfected Super Saiyan Blue, he initially has the upper hand against Kale, even landing a solid kick onto the female Saiyan. However, Kale quickly rebounds and continues her assault against Goku, growing in strength and ki at a very rapid rate, eventually managing to break Goku's guard and nearly landing a blow. At this point, Frieza notes that if he were to get serious, he could defeat Kale by himself. Angered at her failed attempt, she proceeds to take on a Power Stressed state, shocking both Goku and Frieza. However, a concerned Vados noted that this extreme growth rate was causing Kale to lose control and could ultimately turn her into a danger for everyone in the Tournament of Power. With her newfound power, she struck the ground with such force that it demolished a large portion of the arena and launched a powerful shockwave that eliminated several fighters and startled the Gods of Destruction with her raw power. She then began rampaging against everyone, swiftly eliminated all of Team Universe 4 and even smashing through Toppo and Perfected Super Saiyan Blue Vegeta simultaneously, which almost eliminated the two - though did no damage to either of them. Her actions them prompted Team Universe 3 to merge their four main fighters into Anilaza. Despite this fusion's massive size and increase in power, the berserker Kale effortlessly eliminated the foe in a single strike, also eliminating the rest of Team Universe 3. She then proceeded to quickly eliminate Universe 2 and Universe 10. She then turned against her own team and lifted the massively heavy Auta Magetta of 1,000 tons, tossing him out of the arena with a single hand, eliminating Pirina and Saonel in the process. Super Saiyan Cabba was powerless before Kale, narrowly being saved by Vegeta. Her growing power then began overwhelming 6 members of Team Universe 11. However, her reckless and pure displays of raw might soon became predictable, letting the team more effectively dodge her assaults and collectively overwhelm her. After observing her in battle, Vegeta concluded that she was not worth his time as a foe. Ultimately, the unstably growing power of Kale forced Caulifla to fuse with her fellow Saiyan as a last attempt to stop her rampage before it became too much. While fighting in her Super Saiyan form and alongside that of Super Saiyan Caulifla, she is still outmatched by Oren and then soon after ward Kamin who calls her weak. Kale was a key player for Team Universe 6 during the Tournament of Power. Flight - Kale possesses the ability to fly using ki. Ki Blast - The most basic form of energy wave. Gigantic Impact - Kale's version of the Eraser Cannon in her version of Super Saiyan in an attempt to kill Cabba. Named in Dragon Ball Z: Dokkan Battle. Blaster Meteor - While in her Legendary Super Saiyan form Kale is seen using this technique in the Tournament of Power, eliminating Methiop in the process. Trap Shooter - Kale fires a cluster of green ki blasts at her opponent. Used against Super Saiyan 2 Goku. Seismic Power - Kale uses a slightly different variant when assuming her berserker state. Resist Cannon (レジストキャノン, Resist Cannon) - Normal form Kale's special attack in Dragon Ball Heroes. Gigantic Shout (ギガンティックシャウト, Gigantic Shout) - Legendary Super Saiyan form Kale's special attack from Dragon Ball Heroes. Resist Blast - Kale fires a yellow or green energy wave. Gigantic Blast - Kale and Caulifla in their transformed states combine their green and red energy waves similar to the Final Kamehameha. In the anime, Kale achieved this form to escape her dimensional prison and save Caulifla from the Pride Trooper's group assault. This came from her self-loathing at not being better when it was most needed and even more from the desire to become better due to Caulifla's belief in her even in a dire situation. In this form, she grows noticeably taller and likewise increases in muscle mass and build; while not nearly as much as her berserker form, she is almost as large as Super Saiyan God Goku in both regards. Her hair is golden with a slight green tint and her aura is the normal golden color. Her hair spikes up and she loses her ponytail and retains visible turquoise irises. This form is Kale's standard Super Saiyan form as well as the non-full power version of her Legendary Super Saiyan form, allowing her to focus her power without losing her rationality more easily, though still cannot access the same full power of the Legendary Super Saiyan form for as long without tiring. In the manga, Kale unleashes this form in response to Caulifla and Cabba losing in their battle against Frieza, showing a berserker-like rage. While in this form rather than instantly becoming more muscular, her musculature and power builds up gradually, slowly getting stronger until she becomes a Legendary Super Saiyan. While in this form she's strong enough to toss around Frieza in his Golden form, and briefly push back Goku in his Perfected Super Saiyan Blue state. In the anime, while attempting to learn to become a Super Saiyan like Caulifla did, initially, Kale's lack of drive failed at the goal. Once feeling that Caulifla was more interested in Cabba, Kale accessed a unique Super Saiyan form of overwhelming power, which is thought by Vegeta to be the true form of a Saiyan. In the manga, she achieved it to stop Golden Frieza from overwhelming Caulifla. This came from her feeling indebted to Caulifla for giving her a home and wanted to insure Caulfila would not lose face. While in this state, she grows considerably larger which likewise acquires a much bulkier and more muscular frame. (Most noticibly, her sleeves are pushed so far up her arms, her shirt looks like a sports bra.) She bears a striking resemblance to Legendary Super Saiyan Broly, having green hair that turns spiky and sticks out, freed from the ponytail, a green aura, and her eyes turn sharper and blank. Although comparatively to Broly, Kale is not as massive and still feminine in frame. In this form, while her clothing remains intact, her sheer size makes her shirt appear as a tank top. In the manga, her muscle definition and mass originally remains unchanged when transforming into this state, even with her berserk-mentality, however her muscle mass gradually increases as she powers up, appearing similar to the Super Saiyan C-type state and eventually reaching a similar musculature that's usual to the Legendary Super Saiyan state. Originally, this form caused Kale's meek demeanor to turn beastly and maniacal-like. This ultimately made her unable to truly control her actions in battle, which Piccolo noted is her greatest weakness. Her initial lack of control would cause her to grow angrier the longer she battled in this state and likewise quickly burn out on stamina and energy. Despite this and the massive stature of it, she does not appear to be hindered in speed or agility, contrasting to other Power Stressed forms, suggesting perhaps her speed to be "ultra first-class." Her intense power become able to instantly fire potent blasts and from places other than her hands, such as her chest or even a massive barrage in several directions at once. Her natural endurance and resilience is also greatly increased, able to brush off most attacks without defending and remain virtually unfazed. Her savage style of fighting however made her attacks more obvious and easy to dodge, letting fast foes gradually adapt to her assaults. Another weakness, mentioned only in the manga is that Kale's ever growing power risked destroying her if she did not calm down. In the anime, after further evolving her power in a desire to save Caulifla, Kale was able to harness her power and suppress it into a regular Super Saiyan form that was stable yet unique, regaining her full self-awareness and kind nature. When pushing the full power of her Super Saiyan form, Kale would again return to her massive form, but stayed less violent, able to focus on her true goal without going on a rampage. However, without the growing anger from before, the form became even more taxing on her stamina and ki, causing her to revert to her base form and fall unconscious after a beam struggle. In the manga, Kale eventually achieves this form while combating Goku and Frieza, her first actions after doing so being to dash past them while rearing her head in pain and exploding a burst of energy that knocks out several of the fighters. In this form Kale demonstrates the ability to take out many of the fighters in the tournament, including Anilaza, though at the cost of her berserker mindset attacking her own teammates as well. 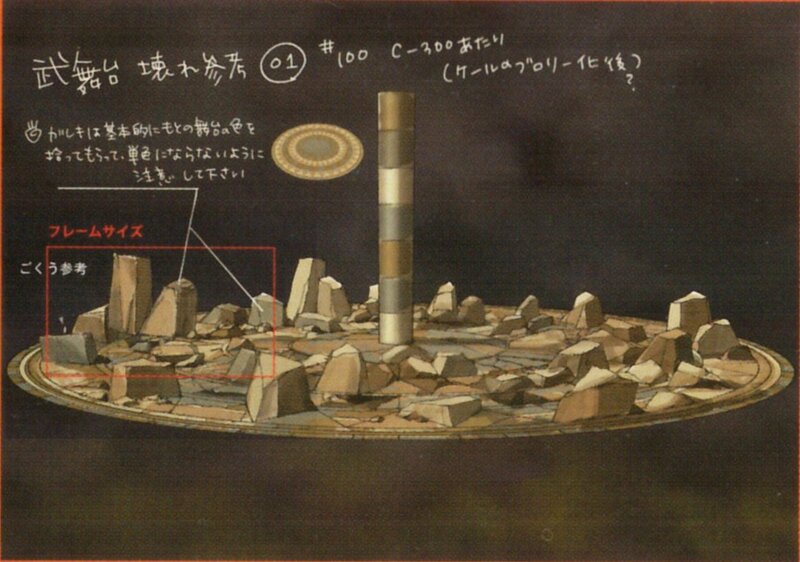 The official production design for the Tournament of Power arena refers to this form as Kale "turning into Broly" (ブロリー化, "turning into Broly"). Kale also doesn't seem to remember what happened while she went berserk. In the anime, during her second fight against Goku, wanting to finally fight alongside Caulifla as an equal, Kale unleashed the full power of her berserker form. While initially turning savage again, Caulifla's continued words of encouragement resonated with Kale, enabling her to completely harness and control the capacities of her berserker form. Subconsciously condensing and focusing the power into an even stronger yet fully stable state, Kale became able to use said power as its peak with no loss of her mentality or stamina. 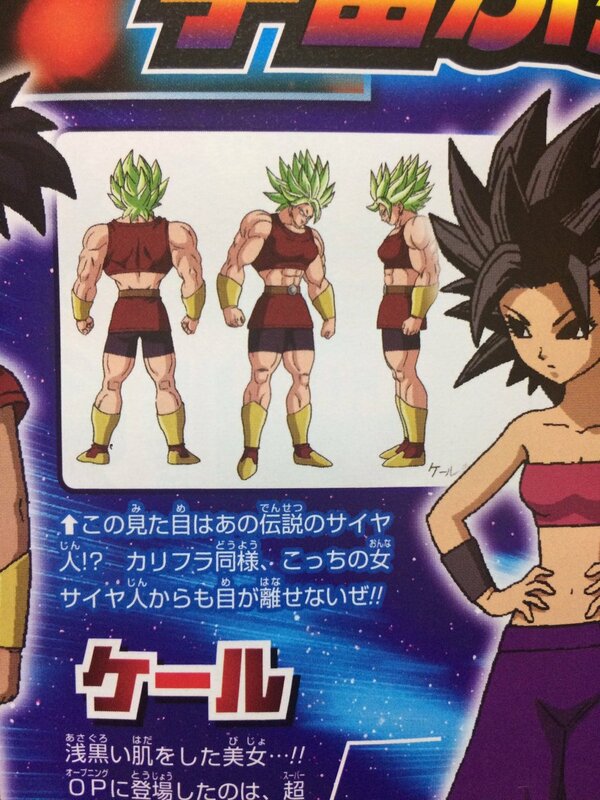 This form essentially looks similar to her standard Super Saiyan form, the differences being that her hair color becomes a solid green, and the bang on the right side of her face falls down instead of curling upward. While in this form, Kale was able to hold her own against Super Saiyan God Goku to a certain extent. Kale assumes this form after Kamin takes control of her body. Her hair turns white and red lines travel from her forehead to her eyebrows and from her mouth to her chin. Kefla is the product of a Potara Fusion between Kale and Caulifla. With the combined might of both Saiyans amplified to such immense levels, Kefla is easily one of the most powerful beings in Dragon Ball franchise. As it's not a fusion involving a Kai, the fusion lasts only 1 hour at most, rather than being permanent. Originally, she was formed in desperation to defeat Goku, who was overwhelming the pair in his Super Saiyan God form. At only base form, this fusion had a great advantage against Super Saiyan God Goku, however, it is important to note that Goku at that point was worn out from the battle with Jiren. Despite being a fusion of Caulifla and Kale, Kefla's personality is seemingly identical to Caulifla's. After being born, Kefla remarks she feels great, displaying Caulifla's overbearing confidence. During her initial scuffle with Goku, Kefla also displays Caulifla's cocky attitude, calling Super Saiyan God Goku's attacks "lame". Also, Kefla did seem to be genuinely afraid when Goku managed to reactivate his Ultra Instinct -Sign- against her and the realization of being potentially defeated by him seemed to have made Kefla develop a strong determination towards defeating Goku to the point it appeared she was deliberately trying to destroy him in a fit of rage. Main article: Potara Earrings worn by Supreme Kais and their apprentices. Despite being worn so casually, they have incredible properties, allowing two individuals to fuse or permitting the wearer to use the Time Rings. Kale borrows one of Caulifla's whenever they are going to fuse. Kale makes her video game debut in Dokkan Battle in her Legendary Super Saiyan form. She later appears in Dragon Ball Heroes. While Kale herself is unplayable in Xenoverse 2, her fused form Kefla is, as part of Extra Pack 3. 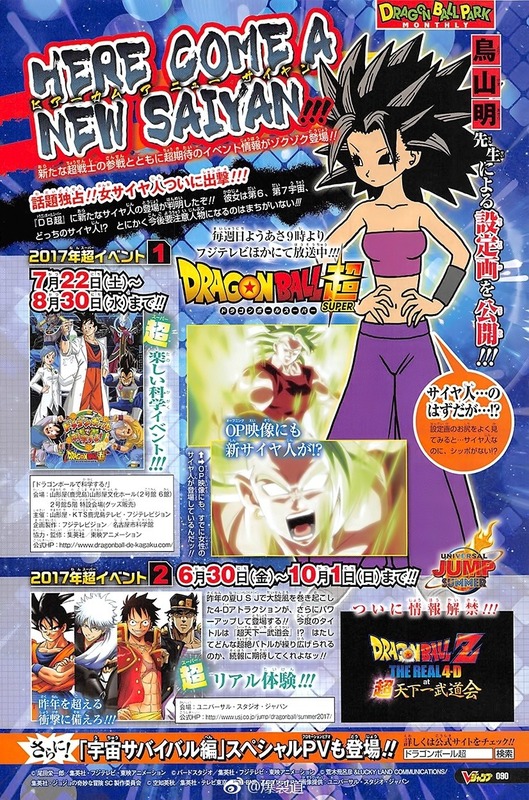 Both Kale and Caulifla can be heard over the live radio at Conton City. Kale's outfit heavily resembles the one Bulla wears in Dragon Ball GT. Kale is the first female Saiyan from the mainstream Dragon Ball series to be shown with a Super Saiyan transformation. However, in the series itself, it was Caulifla who becomes a Super Saiyan first. Like most other pure-blooded Saiyans, Kale's name comes from a vegetable, more specifically kale. Incidentally, the vegetable kale is of the same plant species as broccoli, Brassica oleracea, which further reinforces her reference to Broly. Kale was suggested by Toei for the Universal Survival Saga due to Broly's popularity. To which, there are several similarities between the two. She has the same techniques and (while in her berserker state) phrases as Broly. She also has the same savage fighting style in her berserker state. Kale's boots and bracelets are identical to Broly's, though they lack the decorative gems and also wears the same golden hoop earrings. Kale's Legendary Super Saiyan form is described as looking similar to "that" legendary Saiyan (presumably referring to Broly) in a character bio entry. In their base forms, Kale and Broly both possess the same long, shaggy hairstyle. They both have a normally appears calm if not meek and/or timid, but turns psychotically violent once accessing their true power (although in the anime Kale later learned to control her power). Both Broly and Kale have called Goku's name in their enraged states, although Broly announces Goku's Saiyan name (Kakarot) while Kale announces his earthling name (Son Goku). For a moment, she also shared Broly's obsession to kill Goku, as Broly wanted to kill Goku for crying as a baby and annoying him while Kale out of the belief that Goku stole Caulifla from her. Similarly, both Broly and Kale have turned on someone they cared about, Broly towards his father Paragus and Kale towards Caulifla. However, Broly succeeded in killing his father whereas Kale regained her senses and stopped. Broly and Kale's respective Super Saiyan transformations are unique to other Saiyans: Their normal Super Saiyan has a green tint to their yellow hair and aura plus causes a noticeable increase in both height and muscle. Like Broly, Goku's Kamehameha is ineffective against her, able to calmly walk through it. The key difference for Kale is that ultimately, she learned to fully control her powers and still retain her sanity. This came from the fact that unlike Broly, Kale suffered less emotional turmoil in life thanks in large part to genuine compassion and loyalty from Caulifla. This made her at heart a truly caring person, unlike Broly who cared for no one barring maybe Paragus (and if one counts Xenoverse 2, possibly the Future Warrior). Whenever Kale transforms into any of her Super Saiyan forms, her shirt noticeably loses its sleeves, and likewise return when she changes back to base form. Kale is the third character to cause any kind of footing to rumble while walking - the first being Broly in his Legendary Super Saiyan form in Budokai 3 and Raging Blast, and second being Future Trunks in his Super Saiyan Anger form. Kale is the fifth character in the franchise to make Goku shake in fear during a battle, with the other four being Raditz, Frieza, Hit, and Jiren (the last of whom ironically beat her). In the anime, Kale has the most eliminations out of anyone outside of Team Universe 7 in the Tournament of Power with five knockouts. In the manga, Kale has the most eliminations out of any fighter in the Tournament of Power. ↑ Reddit post on Nagamine interview. reddit (December 6, 2018). ↑ Kale "Female Broly". Twitter (December 14, 2018). ↑ New Saiyan reveal. tumblr. ↑ 4.0 4.1 4.2 Character bio source code. toei-anim.co.jp. 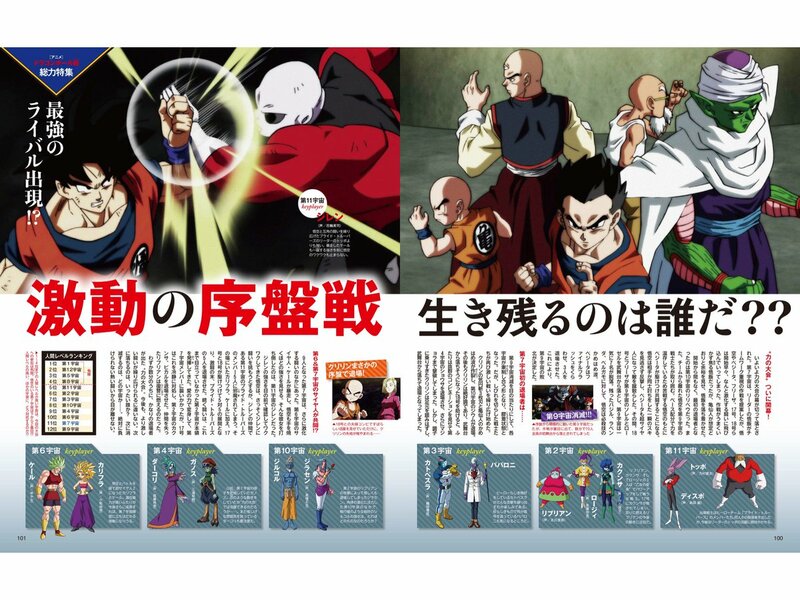 ↑ Dragon Ball Super chapter 38, "Universe 6's Last Resort"
↑ Animedia: Dragon Ball Super Featurette. pbs.twimg (September 2017). ↑ The news about Kale and Caulifla in Xenoverse 2. Twitter (August 2, 2018).